The Reflector had an exclusive interview with opposition leader Danielle Smith of the WildRose Party. The Reflector: Do you agree with the budget-cuts made by the Progressive Conservative government? Danielle Smith: They didn’t campaign on this and we knew that they were in trouble actually. They had these rosy projections that everyone knew were not going to pan out. They were criticized roundly for having made such rosy projections and then proceeded to campaign on $7 billion in additional spending increases, something had to give and they denied that there was a problem. All the way into December they said that there was no problem and just before Christmas they realized that they were in a real pickle. They set the bureaucracy back and looked at how they might be able to get back into balanced budgets and ended up making the cuts which nobody anticipated and I think the universities were expecting the increases and ended up getting a massive decrease. When you have so many different levels of government and different institutions that rely on government funding you need to have stable and predictable increases and decreases. There are all kinds of places where wasteful spending can be cut. Corporate welfare programs, carbon capture and storage, venture capital funds. There are all kinds of ways that we can find cost effectiveness and efficiency in how we do our capital construction. But the idea that this government implemented was finding efficiencies by cutting on the front lines and no one expected it, and I think it was a terrible way for them to try and balance, or get close to balancing the budget. The problem is that they just really don’t know how to prioritize and I think you see that in so many different decisions that they make. The sad part is that so often the post-secondary sector becomes a whipping board for their inability to get this in control in other areas. We have seen this in the past where post-secondary or even municipal spending are the first places to get cut when they get into trouble. The real solution is getting the overall spending picture under control, giving predictable spending increases in the order of one or two or three per cent so that all the institutions and levels of government that rely of provincial transfers can rely on that. TR: What has government done wrong in post-secondary and have they done anything right? DS: The way I would look at it is we had 22 institutes that were functioning pretty well and I didn’t see a need for them to do a massive overhaul and change to it. That is, I guess the surprise that I have had. The only thing that I think is broken is that there aren’t enough dollars flowing through to support the number of students that want to go to school. Whether it is at Mount Royal, whether it is at our technical universities or whether it is at our colleges, so that is that part that they could have worked on fixing. I think it’s very unclear which direction that government is going to take now and they have created a lot of uncertainty where that didn’t need to happen. The other part is that they haven’t really been vigilant on policing the stated policy of having year over year increases so tuition can keep in line with inflation. There are multiple institutes where they are now assignment facilities fees and there are ways of gouging students that I think are keeping in the spirit of the policy. I think that Mount Royal has $125 dollar student fee that has been added this year, increased parking rates, and other schools are seeing that also. I don’t blame the universities; I blame the government for creating an atmosphere of uncertainty and for actually being quite lax in having put forward policy and not enforcing it. But if you enforce the policy, you have to make sure that you are flowing through enough dollars so that the administrative costs and the growth costs of the universities can be managed. That kind of uncertainty is, I think, causing most of the problems today. 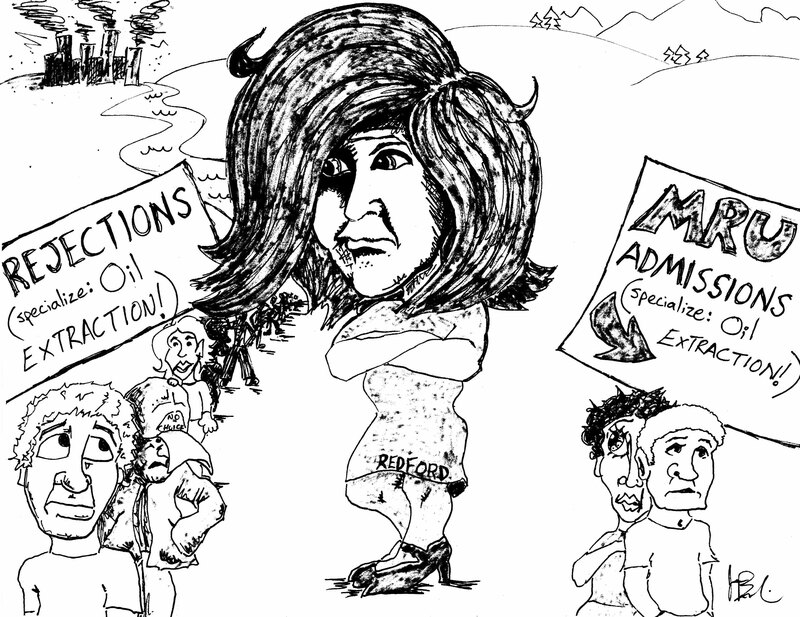 TR: What can the WildRose Party do for Mount Royal? DS: I am of the view that the government needs to set a level playing field and treat all the players in that field the same. I know that the current government likes to go around making specific promises to specific institutions on the hopes that they will be able to win votes, but that’s not how we are going to operate as a political party. We want to set a framework in which every one of our 22 institutes feel like if they are offering programs of choice and they are able to attract students that they will be rewarded with being able to have more dollars. We want them to feel like they are providing value to their local communities because they are student centered and they have local decision making power. We need to have a transparent funding formula not only for operating but for capital so that there is some fairness in how Mount Royal is funded. That’s not happening right now, it is very variable not only on operating grounds but also on capital grounds. Previous story The candidates of Ward 11: Who will you choose?